A Polisario official defected to Morocco surrendering his arm on the defense wall near Smara, Le 360.ma reported few days after a similar defection by a senior separatist leader. After the many diplomatic setbacks it suffered abroad, the Algeria-backed Polisario separatist front is currently facing a growing internal dissent. A young officer from the Polisario front decided on Monday, March 18, to rally the motherland. On Thursday, February the 28th, members of the Sahrawi Association on Human Rights Defense (ASADEDH) said they were «surprised» and «annoyed» by an invitation sent to M’Hamed Khaddad, the coordinator with MINURSO. The UN personal envoy for Western Sahara Horst Köhler has, reportedly, invited the Polisario to a meeting in Berlin, reports the Front’s press agency SPS. The Paris-based Institut du Monde Arabe (Arab World Institute) has just canceled a concert featuring Sahrawi singer Aziza Ibrahim, who often conveys through her songs the propaganda of the Polisario Front. Seven suspected drug dealers escaped a Polisario prison, reports pro-Polisario online newspaper Futuro Sahara, Tuesday, quoting sources in the Tindouf camps. The men in question were imprisoned in May 2018 after they were arrested east of the Moroccan Wall. In South Africa, General elections will be held in May to elect a new National Assembly and new provincial legislatures in each province and will be followed by presidential elections. Opposition in the Tindouf camps is resuming its activities. 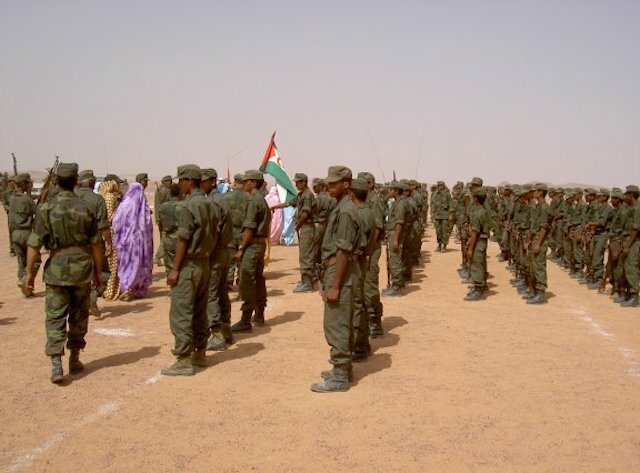 Days after Futuro Sahara rebuked the «discourse» of the Polisario leadership, the Sahrawi Initiative for Change (SIC), created last year, announced that it is back on track. The Polisario sent its «Defense Minister» on a tour to Tifariti and Amheriz, located east of the berm, where he inaugurated several facilities. These inaugurations contradict the recommendations set by the UN Secretary General in resolution 2414. Following the royal plan, proposed by King Mohammed VI in his Green March speech, Algeria issued an unofficial position through one of its diplomats. Meanwhile, the Polisario criticized the content of the speech.